As previously announced, we have prepared a stamp set designed specifically to benefit those affected by disasters, such as the recent hurricanes in the United States and the wildfires throughout the US and Canada. The stamp set is titled Stronger Together and features a variety of sentiments that can be used for comfort, encouragement, and more. This C-size set is available for purchase starting today; find it on your Consultant website using item number C1716. In order to be able to support multiple needs, we have determined that proceeds from the sale of this set will be donated to the Red Cross, which provides relief efforts to multiple disasters, and which will allocate the funds to where they are needed most. In order to maximize the donation amount, this set will be non-commissionable. This way all proceeds—including the amount that would normally go toward paying commissions—will be donated to the Red Cross. We believe in the good that comes when we work together as a community. As the stamp set name states, we truly are stronger together. Share this set with your customers and followers as a way of coming together and strengthening those who need some extra help in the wake of devastation. S1709– Feeling Blessed is a timeless Stamp of the Month for $17.95 or $5.00 with a $50.00 order. 10+Wonderful Workshop guides, one of which can be yours free with qualifying purchase of $25.00! Check it out! Join my FB Customer Group to see the available workshops. Great Cricut Giveaway Event. $50.00 order is one entry into this drawing. Joining my team will get you entries. $3300.00 in prizes until we hit the goal of 39,000 points…read all about it!! On August 27, Pam Turner was the $100 shopping spree winner, live on FB in my Group. We have 6 weeks left to reach the goal – 8880 points to go. 18 more $50.00 orders until the next $100 hostess credit giveaway! If all the orders are from customers who order on the Great Cricut Giveaway Online Gathering, to make up these points, the following prizes are available to my customers only: 8-$100 hostess credit shopping sprees, 2 – 50% off items, 1 – Cricut Bundle (excludes the new cartridge) for a total off 11 more possible prizes! 180 more $50.00 orders to go! Woot, Woot. My customers are the best!! 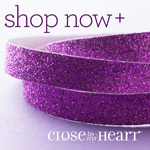 Join My Team and receive the From the Heart card kit, value of $43.90, FREE. It’s $75 to join CTMH. The contents of the Consultant kit are worth $164 AND you get $50.00 of Product Credit to pick out other papers/inks/stamps for a value of $214. Plus there are lots of other great reasons to join – Check it out. Thanks for stopping by my corner of the internet. Please purchase this Distaster Relief Stamp Set. I will make nothing on it as all the profit margin will be donated to Red Cross. Help out all the families around our country. Let charity begin at home. Be sure to not miss out on an entry in the Great Cricut Giveaway, the Stamp of The Month for $5.00, and two Workshops of your choice if your order is over $50.00!! Here’s a card with the Stamp of the Month S1705 Live Love Laugh. This one is done by a guest artist Jennifer P from my swap group. This shows how you can color the card and have it look great for those who are not color-ers. “Love” can be such a useful word when pair with different sentiments. This sentiment is from the Cricut Cartridge Flower Market Collection and one of my favorite stamp sets. Because the stamp set words are so large, it takes up most of the space on the card. Simple is best. The sentiments from Flower Market has these simple sayings that are done with a combination of 2 fonts, which I really like. I don’t know if you can really see it for the picture from Flower Market. It’s the top set in the upper left corner. See how perfect the sentiment goes with “love”. It’s great to mix and match different stamp sets you have. Thanks for stopping by my corner of the internet. I hope this Love The Little Moments gets you excited about this great special! Get yours today, get an entry in the Great Cricut Giveaway, and a Workshop of your choice. WOW…there are some big changes coming with My Acrlix Stampsavailability. Please read this carefully. We are simplifying the rules regulating the availability of our My Acrylix® stamp sets to make it easier for you to know which stamp sets are currently available. Presently, we have policies in place that make all stamp sets available for a full year from the time they are first introduced. These policies also make stamp sets that are compatible with a Cricut® collection available indefinitely. The stamp sets that are available are growing in size and we see the need to change this. Consequently, we are transitioning to a new policy regulating stamp sales: Stamp sets will only be available when they are pictured in an active idea book. Under this policy, stamp sets featured in the Annual Inspirations idea book will remain available for the year-long duration of that idea book, while stamp sets featured in seasonal idea books will retire when the seasonal idea book retires, like the other items featured in these idea books. This policy will include stamp sets with Cricut®-compatible images. When we first introduced our Cricut® collections and their compatible stamp sets, it made sense to keep these stamp sets available in order to create a more robust collection of stamp sets with compatible images. With a larger number of Cricut®-compatible stamp sets in each idea book, it makes sense to allow the older sets to retire and to focus on the newer stamp sets. This new strategy for our My Acrylix stamp sets will go into effect immediately, meaning that stamp sets featured in Seasonal Expressions 1 will be retired at the end of that idea book on April 30, 2016. Stamp sets featured in Annual Inspirations 2015–2016 and any other stamp sets that are currently available but are not pictured in any active idea books will be retired on July 31, 2016, with a few exceptions. The exceptions are the States & Provinces stamp sets, the Australia & New Zealand stamp sets, and a handful of other stamp sets that will be carrying forward to a future idea book. “Always Be” came to be after I got these great dies from Simon Says Stamp which make the shape look like it’s stitched! Gotta love it! I got three sets of shapes along with this stencil. I was looking at it and got inspired from the stencil and a tutorial from Stamp Nation about using textured paste! I think they had a different name for it, like embossing paste. Any whoo.. I created this sweet card with a Lili of the Valley stamp (the girl) and Close To My Heart D1627 Your own Kind of Wonderful. I used Ranger Textured Paste, a stencil, and a palette knife to create the background. You put the stencil down over the area you want to cover. Smear the paste on with the palette knife. Lift the stencil up carefully. I covered with prisma glitter while it was wet. If you want to see more about this, see Stamp Nation’s tutorial. I colored in the cute girl with ShinHan Touch Markers. Wink of Stella’ed the flower and butterfly. All cardstock is CMTH. Added some pop up dots for both the sentiment and the little girl. Don’t forget to join us for the Blossom WOTG and CropTastic Event in July !! The Blossom Workshop on the Go is for card making and it’s one of the options for this month. I do have two two-page layouts also to make. Very little to no stamping on them!! So your purchase price options are different. Here are the layouts – $24.00 (Blossom Paper Pack, Compliments, Carnival Washi Tape). I did use some other product on the pages which is optional for purchase: Z3027 Blossom Assortment $5.95 and Z3074 Bubbly Enameled Shapes $6.95. If you’d like to have these as well, please let me know so I can order for you!! Click here to look at your options for joining the class! There are a few more days where you can still join – choose and order now! Just want to crop? Here’s the link for the crop spaces. Your spot is held with payment. “You Are” is actually my 4th card from S1506 Ice Cream Dream! I really love this stamp set and need to get a move on it to get all the art I’ve done posted for you! I used S1506 Ice Cream Dreams – I love the font on the sentiments in this set. I did the banner on both the inside and outside of the card. Colored in the ice cream and the cone with the watercolor pencils. I used our glue pen to trace the lighter stripes down the background paper and covered it with prisma glitter. I used Wink of Stella on the ice cream. S1506 Ice Cream Dream is a set you can use over and over because ice cream never goes out of style!! Get your set today for $17.95 or $5.00 with a $50.00 purchase!! In addition, when you place an online order, you’ll get a free stamp set that I mail you from my stash! It’s a Win Win!! Check it out!! I created this card “Wonderful” for FMS191 Challenge. I was making cards for a teacher’s gift (more on this later). The FMS was perfect. It’s funny how you can see something from the sketch! I used D1627 Your Own Kinds of Wonderful stamp set. I did some 1st and 2nd generation of the butterflies. I used Stickles Diamond Glitter Glue on the 2nd generation butterflies to pull out some of the color from the ink, giving the glitter glue a light blue water color effect. I colored the butterflies with the ShinHan Touch Markers. I used Wink of Stella Clear to add shimmer to the colored butterflies. The stitching is a stamp (I love all stitching that can be done by stamps or dies!). It was definitely fun to play in this challenge plus get some other things taken care of! I used some sequins from the silver collection to finish the card off. Thanks for stopping by to look! Here’s my take on Freshly Made Sketches 190 (FMS 190): Like You A Latte! It also works for the Heart2HeartChallenge – to create a man’s card. I made this for my husband for Father’s Day. Squeaking in for time to play the FMS189 Sketches! I need to create some fun, cute graduation cards and it worked! I used Confetti Wishes paper and stamps from CTMH along with stamps from Penny Black and Lili of the Valley. A few close ups of the cards. I love to coloring!! I’ve had this Penny Black mouse for years. I have just recently discovered the Lili of the Valley stamps from the UK. I enjoyed making these cards for a few special friends! Thanks to FMS 189 for the inspiration! Thanks for stopping by to take a peak at my creations. Smiles, Hugs, and Happy Creating! !